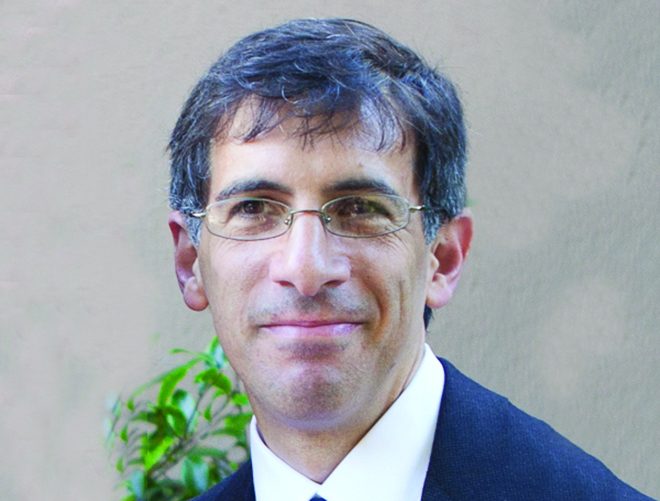 Professor David Hasen joined UF Law in 2017 as a tenured professor of law. He teaches in both the UF Graduate Tax Program and the J.D. Program. Prior to joining UF, Professor Hasen taught at the University of Colorado Boulder, teaching various tax courses including federal income tax, international tax and partnership tax. In addition, he has taught tax courses as a professor at Santa Clara University Law School, Pennsylvania State University, University of Michigan Law School, University of Southern California School of Law, Hastings College of Law and at the University of Auckland in New Zealand. Professor Hasen also spent a year as Professor in Residence at the Office of Chief Counsel at the Internal Revenue Service. This office sets policy and provides legal advice to the IRS. Professor Hasen has published numerous scholarly articles in various publications, including Emory Law Journal, Illinois Law Review, Texas Law Review, Columbia Journal of Tax Law, Florida Tax Review, Tax Law Review, and Virginia Tax Review, among others. His areas of scholarly interest include taxation of commercial products and entities, jurisprudence and political theory, tax policy and tax history. A Partnership Mark-to-Market Tax Election, ___ The Tax Lawyer ___ (forthcoming 2018). Accretion-Based Progressive Wealth Taxation, 20 Fla. Tax. Rev. 277 (2017). Taxation and Innovation – A Sectorial Approach, 2017 U. Ill. L. Rev. ___ (forthcoming 2017). Some Consequences of Governmental Provision of Rival Goods, 34 Va. Tax Rev. 319 (2014). The Reinvestment Deduction: A Modest Proposal to Reform the Corporate Tax, 18 Chapman L. Rev. 49 (2014) (invited symposium essay). CBIT 2.0: A Proposal to Address U.S. Business Taxation, 140 Tax Notes 909 (August 26, 2013). Partnership Special Allocations Revisited, 13 Fla. Tax Rev. 349 (2012). Tax Neutrality and Tax Amenities, 12 Fla. Tax Rev. 57 (2012); reprinted in China and Hong Kong: An International Tax Perspective (Julien Chaisse ed., 2015), and in International Tax Law (Reuven Avi-Yonah ed., 2016). Financial Options in the Real World: An Economic and Tax Analysis, 37 Fla. St. U. L. Rev. 789 (2010), Distinguished Scholar Series. Legal Transitions and the Problem of Reliance, 1 Colum. J. Tax Law 120 (2010). The Tax Consequences of Advance Receipts, 61 Tax L. Rev. 395 (2008). Unwinding Unwinding, 57 Emory L.J. 871 (2008). Liberalism and Ability Taxation, 85 Texas L. Rev. 1057 (2007). A Realization-Based Approach to the Taxation of Financial Instruments, 57 Tax L. Rev. 397 (2004). The Ambiguous Basis of Judicial Deference to Administrative Rules, 17 Yale J. Reg. 327 (2000). “What We Can Learn from Trump’s US$916 Million Loss,” The Conversation (Oct. 13, 2016) (available at https://theconversation.com/what-we-can-learn-from-trumps-916-million-loss-66628#comment_1105711). “How I Learned to Stop Worrying and Love Our Homeowner Tax Rules” (essay), 149 Tax Notes 425 (Oct. 19, 2015). “Apple demonstrating blatant lack of respect for tax law,” San Jose Mercury News (May 24, 2013) (available at http://www.mercurynews.com/opinion/ci_23310792/david-hasen-apple-demonstrating-blatant-lack-respect-tax). “End the federal tax break for equity fund managers,” San Jose Mercury News (July 4, 2010). Media appearances: Commentator on media outlets, including KCBS radio and KLIV radio. at 2015 National Tax Association Meeting. of Rival Goods at Northern California Tax Roundtable, University of Alabama Law School. at Spring 2012 Northern California Tax Roundtable. at Santa Clara University Law School Faculty Lunch Series. Developments in Real Estate Law” at Santa Clara County Bar Association. at 2011 Critical Tax Conference (Santa Clara University Law School). at George Washington University Law School, Columbia Law School Tax Colloquium. at University of Southern California Law School Faculty Workshop. at University of Michigan Law School informal lunch series. at Loyola Law School, Los Angeles; and University of Pennsylvania Law School. at University of Michigan lunch series and Colorado Law School Junior Tax Scholars conference. at UCLA School of Law, Hastings College of the Law, and Harvard Law School tax conference. Instruments at Harvard Law School bi-weekly tax seminar. at New York University Tax Law Colloquium. the Politics of American Empire, at University of Michigan International Law Workshop. at Burch Center for Tax Policy and Public Finance, University of California, Berkeley, CA. at Behavioral Public Finance: Toward a New Agenda, University of Michigan conference. at University of Michigan Law School Legal Theory Workshop. and Legal Transitions” at University of Michigan Law School weekly faculty luncheon. tax-motivated transactions, at University of Michigan Law School informal lunch series. at University of Michigan Law School Tax Policy Workshop.